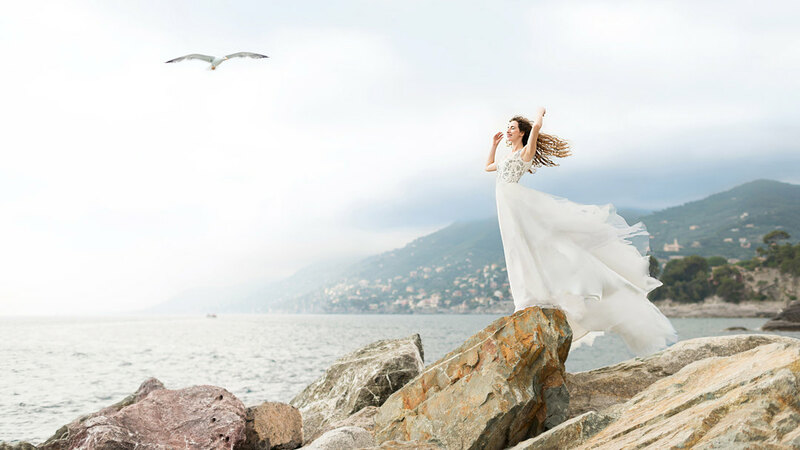 The boundless, crystal clear sea of ​​emerald-blue waters, romantic atmosphere, this is what you will find only a few kilometers from Genoa, between Camogli and Portofino, a wonderful location for your day, for a romantic wedding of your dreams. Nature - one of the most exciting in all the regional natural park of Portofino, where you can stroll along the romantic paths that lead from the mountains to the bay of Portofino. Stroll together, enjoying the beaches of poetry, and then take a stroll along the turquoise waters of the sea on a boat, between the waves. The picturesque panorama is wonderful, unique and stunningly beautiful backdrop that you will marvel at every time looking through your wedding album.